The only Romanian in Quartzsite, Arizona! How many of you who have traveled from Arizona towards California on Highway I-10 still remembers the last town you passed through prior to reaching the Californian border? – probably not many! Situated at about 125 miles from Phoenix, 129 miles from the tourist spot Palm Springs and about 20 miles away from Blythe (the first city from California ), is a town called QUARTZSITE. Quartzsite, a town with a year around population of about 4,000, swells to close to a million during the months of January and February. What Israel is to Christianity, Quartzsite, Arizona is to Snowbirds. Snowbirds are a large and growing group of people, who leave the northern states for the winter. They head south, with an average age over 50, when the joints begin to ache, and the wind turns cold, the Snowbird is making preparations to migrate. Most Snowbirds are retired people who like to get away from near-artic winters and find a warm, cozy hide-a-way where the sun’s rays can keep the arthritis to a minimum and exercise in the great outdoors can keep the body in shape and the cholesterol from clogging the arteries. One of the favorite spots for winter nesting is Quartzsite, Arizona. Retired people from all over the United States and Canada descend on this small desert town in flocks that you will never believe, looking for a place in the sun. In this unique and interesting town, quiet in the summer months but full of life and traffic in the winter, lives the only Romanian in Quartzsite – pastor John Todor married to Mythyl Grace Todor, also, the only Filipina living in this town. Some time ago I heard exciting things about John, his family and his ministry, but since there was a distance of about 120 miles between his place and the place where I live (about two hours of driving), I was only able to meet him in person a couple of years ago. I kept in touch with him by e-mail and phone until one day when I, along with my family were passing through Quartzsite coming from California, going home, to Phoenix and I made an appointment of meeting with him at his office at the First Baptist Church in Quartzsite, AZ. The moment we arrived in the church’s parking lot we were warmly greeted by the Todor family. We had a great chat about the ministry and they showed us the church building and the wonderful projects that they are working on, we were touched by their faith and passion for the Lord. Who is John Todor? If you would ask him he would tell you that he is a sinner saved by the grace of God, a simple servant of the Lord called to minister to God’s people in the desert of Arizona . He was born and raised in Romania , while Romania was still under the communist regime. He lived there until the time he was 14 years old, when he moved in United States of America . As a child he was suffering of scoliosis (curvature of the back bone). After years of “false hope” given by the Romanian doctors, one day they told him and his parents that they could no longer do anything for him in Romania . A short time after that, with faith in God’s unchanging promises, John and his mother passed the Romanian border to former Yugoslavia on September 15, 1989, three months before the communist regime fell in Romania . For six months they lived in a refugee camp in former Yugoslavia, and on March 8, 1990 they arrived in United States of America. One year later, the family was reunited with John’s sister and father arriving in the States. Chicago proved to be an interesting experience for Todor, who came here from a small town in Romania of just about two thousand people. However, according to him, it was not difficult to adjust in Chicago because he trusted God to lead him all the way. From 1996 till the summer of 1998 John lived in Phoenix , Arizona . What he loves about Arizona the most is the nice climate, the cleanliness of the cities, and also the different opportunities that this state offers to the young and older people. In 1998 John left Phoenix and went back to Romania where he lived until the summer of 2006. In the summer of 2004 he had the joy of marrying Mythyl Grace de los Reyes from the Philippines who according to John is a great wife and mother, and presently they are the proud parents of three children: Elshana Grace Todor, 4 years old, John Todor Jr., 2 years old, and Joshua Cristian Todor, who is four months. Their children hear three languages being spoken in the house everyday: Romanian, Filipino and English. Mythyl loves to sing and prior to meeting John, she was involved with the Afterglow Ministries in the Philippines bringing the good news of salvation through songs at Evangelistic Crusades, in the urban and mountainous areas. John met his wife in a very unique and interesting way. One day, in the summer of 2001 while being in Phoenix for the summer, visiting his parents, he went to Arizona State University to do some research in their computer lab. After finishing his work he felt led by the Lord to search and make contact with different missionaries from different parts of the world in order to share with them ideas about the ministry. After the first search, many such sites came up on the computer’s screen. He randomly clicked on one of these sites, a site where his wife happened to be listed. At that time Mythyl was a missionary in Singapore . He sent her a short e-mail about him, his love for the Lord and the ministry that he was involved in, and the next day he received a short reply from her. In the weeks and months to come the two of them became friends and prayer partners, patiently waiting to see what plans God would have for them. They continued to keep in touch through e-mails, telephone calls, letters, and after 2 years John went to the Philippines to see Mythyl and her family, and one year later, on June 5, 2004 they were married in Bacolod City, Philippines. What attracted him to his wife the most was the fact that she fears God, her simplicity, and her love for the Lord and people. Being married to a woman of a different nationality, helped this Romanian young man to be more interested in and to love other people’s cultures, this being so obvious, since John beginning with the fall of 2006 is the Senior Pastor of an American church, “First Baptist Church of Quartzsite, AZ”, a congregation that he serves with love and devotion. What attracted him the most to this church was the love of the church members for God, for the brethren and for the unsaved. „First Baptist Church of Quartzsite” is part of the Conservative Baptist Association, and if he was to mention some of the changes that took place in this congregation since he came here he would mention the establishment of a Children’s, Youth, Men’s and Women’s ministry. Also, a recreation room for the teenagers from Quartzsite to come especially in the hot months of summer and have some fun playing games, and a Radio Ministry – every Sunday at 2PM his sermons being broadcasted on a local radio station so that the thousands of snowbirds from Quartzsite and around could listen to the word of God by tuning in to the Radio. His job in this church implies fulfilling the duties of a Senior Pastor such as: preaching three times a week, pastoral visitations, counseling and many others. He studies at least five hours a day and spends his free time reading, playing guitar and going fishing. When asked about the “calling of being a pastor”, in John’s opinion, to have a call to pastor means first and foremost to be chosen and called by the Lord and not by the people for this ministry. He strongly believes that pasturing a church is more than a profession or a job and whoever considers about serving God must be aware of this. He and his wife never doubted God’s calling to pastor in Quartzsite , Arizona , from the very beginning they had God’s assurance that they are in God’s will. John Todor started his theological studies in 1998 at the Theological Baptist Institute in Bucharest , Romania and his favorite subject was homiletics. After finishing his studies there (since God called him to be in Romania for a while), his vision was to stay in Romania for as long God wanted him there and to help the churches there. About two years before he moved back to United States, God impressed on his heart that upon their return here, he will serve in an American church. Even though he still loves very much the Romanian people and Romanian churches, he feels fulfilled and blessed for the privilege that the Lord had given him and his family to serve in this place. He is thankful to the Lord for the team of leaders as well as regular members that he can work with at the First Baptist Church , people who love him and his family, supports him, and faithfully serves the Lord making the First Baptist Church a better church and the town of Quartzsite a better town. Mr.Todor says that based on his own experience as a pastor, a pastor that does his job the way it should be done, knowing that he is giving an account to the Lord first and foremost, works more than 40 hours a week, according to him a pastor’s work cannot be fitted in and limited to a certain pre-arranged schedule. At the end of each Sunday, Pastor John is thankful to the Lord and feels fulfilled in his heart for the fact that the “seed” of the Gospel was sown. Speaking of the future, Rev. Todor says that we wants the “FIRST BAPTIST” to continue to remain under the authority of the Good Shepherd, Jesus Christ, having as an example the early church – Acts 2:42 “And they continued steadfastly in the apostles’ doctrine and fellowship, in the breaking of bread, and in prayers.” For him, Jesus is the perfect example that he wants to imitate as a Christian and as a pastor. John Todor was raised in a family of Christian Baptists. In a Sunday night evening service in a Romanian church in Chicago pastured by Rev. George Dancea, while the word of God was being preached, the Holly Spirit convicted him and made him realize that that was the moment he needed to accept Jesus into his heart. 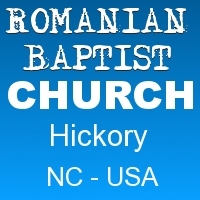 At the end of the service that night he told the pastor about his decision, and a few weeks later he was baptized in the First Romanian Baptist Church . One of his experiences with God took place when he was a child. One day the Romanian doctors told John’s family that they no longer can do anything for their son that the only hope for him would be to have a surgery outside of Romania , in United States of America ; otherwise he will remain handicapped for the rest of his life. John still remembers how at that early age he prayed and promised God that if He will help him leave Romania and have the surgery in the States (something that at that time was very difficult both legally and illegally, since the communists were in power), then he will serve and tell others about God. After days of prayer, God in His love answered their prayers by helping John and his mother pass the border from Romania to former Yugoslavia . Once they arrived on the American soil, John and his family asked God to perform another miracle, to find a hospital that will understand their unique situation, and help them, since they had no jobs yet, no medical insurance and no money to pay for hospital bills. They heard of a good children’s hospital in Chicago that helped children like John, however they were told by the hospital officials that there are quite a few children on the list waiting in line, and that it will take many long months till John’s turn will come for the surgery. John put his name on the list anyway and trusted God to somehow make a way for him to be accepted sooner. To everyone amazement, after only 3 months he was called by the hospital to report for the surgery. In the hospital God really put this young man through the school of suffering, making him also realize that there are people in this world that are suffering more than he is and are at times in a bigger need than him. He learned there to look up to God more and to thank God for who he is and for what he has. After a successful operation, John continued his education in Chicago by studying psychology at DePaul University while working at night for the “Chicago Tribune Newspaper”. In 1996 he and his family moved to Arizona and he transferred to Arizona State University . Even though it appeared that John had everything going for himself, deep down in his heart he knew that he was not going to be fulfilled by making a career in psychology. He knew that God wanted him to do something else but did not know exactly what God was wanting from him, so he started praying and feasting and asking God to reveal to him what he should do. After about a month of praying and feasting, on February 20, 1997 while walking on the street towards a parking lot, God spoke to this young man. He felt something like an electric shock going through his whole body from his head to his toes, and started crying. According to him, the tears were happy tears. In those moments, the Lord reminded John about the promise he made to Him when he was a child, that if he will get to the States and have the surgery, that he will tell others about God and serve Him. God’s calling, which John accepted was to leave everything behind and to start sharing the Gospel of Jesus Christ. God assured him at that time that He will be with him and that he has nothing to fear, and right now, Pastor John testifies that God indeed has been and is with him and he feels blessed and fulfilled to be in the Lord’s will serving right now in Quartzsite in an American congregation. He still loves and keeps in touch with many Romanian people and congregations. He misses his hometown Glimboca, a beautiful little place with wonderful people in Banat, Romania. He and his wife also visit the Philippines every few years. Most of Mythyl’s family and friends still live there, in Bacolod City . The last time they and their children were there was in the summer of 2011. They were able to minister in the different parts of the Negros Occidentales island. John and Mythyl wish and pray that our readers will fully benefit from God’s many abundant blessings this year and want to remind us all that Jesus Christ is the Way, the Truth and the Life, and that the real and eternal blessings are only found in Jesus, our Lord and Savior.